Here's how you can unlock new Javelins in Anthem, after playing as the Ranger. There's a fair amount that isn't explained to you during the opening few hours of Anthem, such as when you'll be able to get your hands on additional Javelin exosuits. In this Anthem Javelin unlock guide, we'll be walking you through how to get new Javelins in Anthem, in case you're tired of being stuck with just the Ranger class. However if you instead need any additional details on BioWare's big new venture, you can head over to our Anthem guide. Here you can find a full story primer and beginner's guide to the game, as well as a breakdown of all four Javelin types in the game. For those not in the know, there are actually two systems of progression in Anthem. Firstly there's the level of the current Javelin you're using, which is determined by your weapons and armor statistics. But there's also the base level of your pilot, which starts out from 1, and progresses as you earn XP from completing missions and defeating enemies. While the open demo for Anthem took place back in January, a Reddit user managed to capture a screenshot of the pilot level rewards, showing how you'd unlock different rewards at different levels for your pilot. 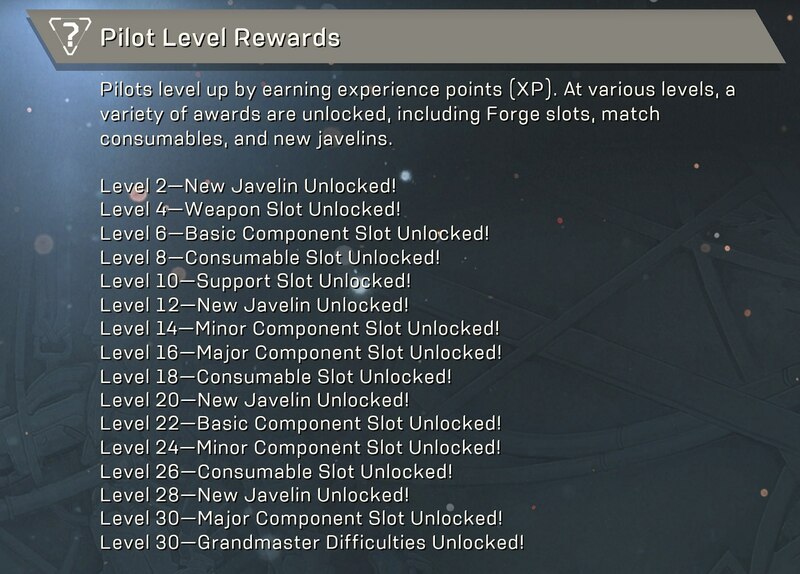 You can see the screenshot of the reward levels for your pilot just below. But, it appears some things in the list above have changed upon final release for Anthem. The actual levels that you're going to unlock new Javelins in Anthem are: 2, 8, 16, and 26. 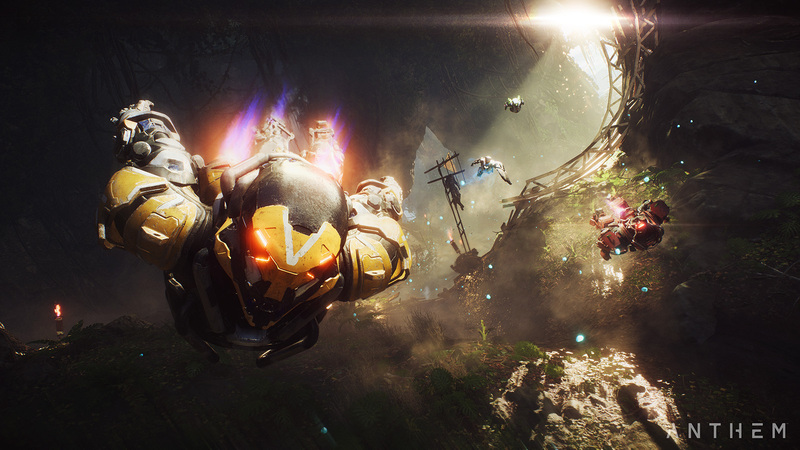 Note that instead of actually unlocking a new Javelin class at level 2 in Anthem, you'll have the opportunity to select one Javelin to play as, until you get the chance to unlock a second exosuit at pilot level 12. On top of this, you'll be able to pick which Javelin class you want to unlock at all the reward levels. So you can unlock the Colossus, Storm, or Interceptor Javelin whenever you want. Now though, you can head over to our additional Anthem guides, including our Anthem DLC guide for all the post-launch content EA and BioWare's has planned.